As in the Nessus case, to scan something with SecurityCenter you need to set a list of hosts or range of ip-addresses. But in SecurityCenter, you can also very easily make groups of hosts (Assets), which will be updated dynamically according to the fresh scan results. For example, Windows hosts, hosts with detected OpenSSL vulnerabilities, hosts with expired SSL certificate. You can do this with just a few clicks. Client Applications – Identify systems with client centric applications installed. Collected Data – Identify devices that have collected system configuration data such as patch level and user credentials. Compliance – Identify devices that have been checked for compliance against a specific audit file. Device Behavior – Identify devices that share common traffic patterns and/or open ports. Infrastructure Technology – Identify systems that are used for network communications infrastructure such as routers, switches, and access points. OS – Use plugins, CPE strings, and/or other mechanisms to identify common operating systems. Server Applications – Identify systems with server centric applications such as database services, email services, and directory services. Virtual Technology – Identify systems with virtualization technology or virtual management applications installed. Vulnerabilities – Identify devices or applications based on the presence of a specified severity and/or vulnerability. Nessus Template Scanning policies are in fact some variation of Advanced Scan policy (see “Tenable Nessus: registration, installation, scanning and reporting“). In the same way all SecurityCenter Asset templates are in fact variations of the Dynamic Asset, which allows you to specify very tricky nested criterias. 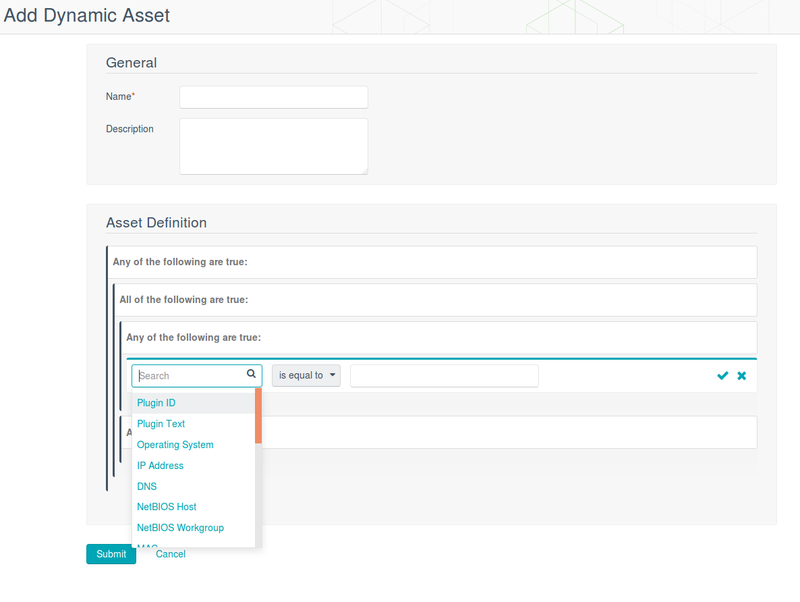 You can just view assets as a flat list and do various other things. For example, easily make a scan task for them or display information (only for particular assets, not all the systems) in convenient dashboards. Let’s see how to retrieve the raw scan results from SecurityCenter with API. SecurityCenter API description is publicly available here: https://docs.tenable.com/sccv/api/index.htm. You do not have to pay anything extra to use it. 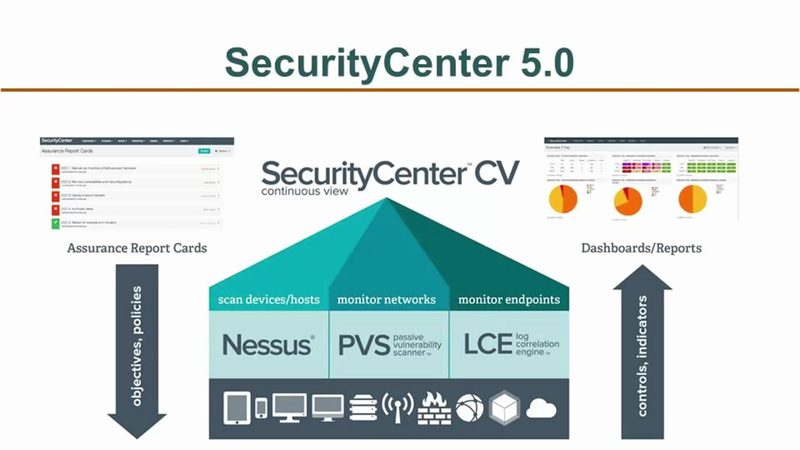 Nessus and SecurityCenter are the products of one company. It would be logical to see some API very similar to the Nessus API. But not really. In fact, it is all so different. It seems that these APIs was made by completely different development teams. You can see the difference right from the authorization. To authorize in you need Security Manager account. We need to get the session key and cookies. For each request, you should add session key to the header and use cookie file. Now we can get the list of scans. In fact, almost all of the API requests are something like “show me this big table.” By default, SC doesn’t show all of the fields. You can specify which fields you want to see in parameter fields of a particular GET-request. In order to select a scan interested for us, we need these fields: name, description, status and finishTime. As you can see, there is a flat list of all scans not grouped in any way. We can select the scan by the name and timestamp when it was completed. And we don’t need to get some history_id, like we did in Nessus, or something like that. Moreover, we do not even have to wait until report file will be ready for download. Isn’t it cool? This file is in the same Nessus v2 report format. Thus, all of the scripts that you used to analyze Nessus scans will work for scans reports retrieved from SecurityCenter without any modifications. Hello Janusz! It is probably because WordPress changes quotation marks in the examples by default. My fault, I forgot to uses <code> to suppress it. Fixed it now. Could you try it once again? Outside the use of the analysis call, is there a way for the API to pull and download existing reports results? Did you mean standard SecurityCenter reports, such as “Critical and Exploitable Vulnerabilities Report”? I have not worked with them a lot. To use them you need to use “rest/report” API call not documented in official manual. I want to get the all the vulnerability List for every vulnerability summary in JSON format using curl command. Could you please help me with that? 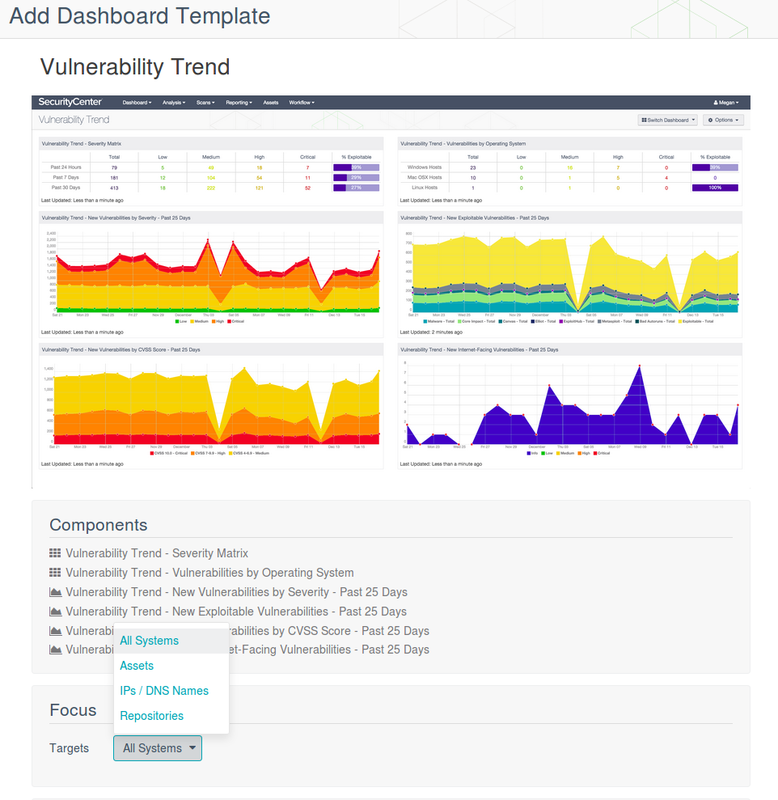 I have a requirement – Pull the Vulnerability data from Tenable.io into Security Center, Can you help me in this regard. Hi Raman! 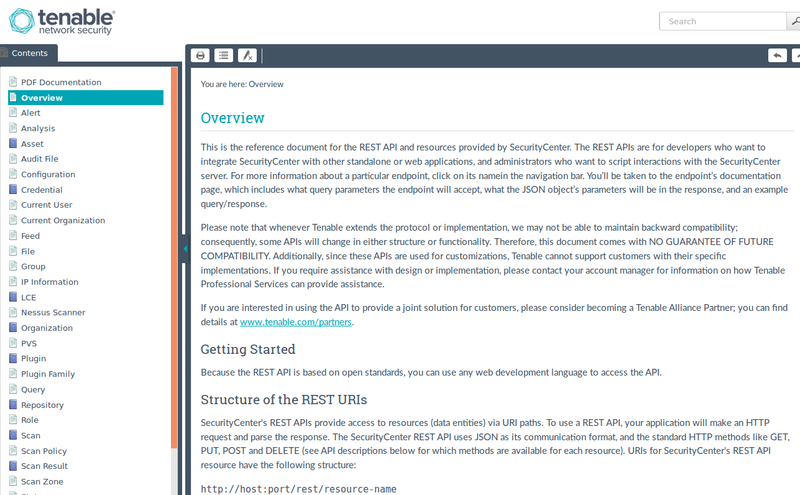 API of Tenable.ai is very similar to Nessus API. So, you can see post “Retrieving scan results through Nessus API”. It’s possible to import scan results to SecurityCenter in Nessus V2 XML format manually, but I haven’t tried to do it with API. I would imagine something like this? Thoughts on what I could be doing wrong?